Every year, about the time we wrap up our spring break, I start thinking about the upcoming homeschool year. It seems that spring break is the signal that our current year is quickly coming to an end. It’s time to look ahead to the next year and decide what I’m going to teach (subject matter). In addition, I have to decide which curriculum to use. Those decisions are huge in a homeschool mother’s mind, but they aren’t as difficult for me as they used to be. 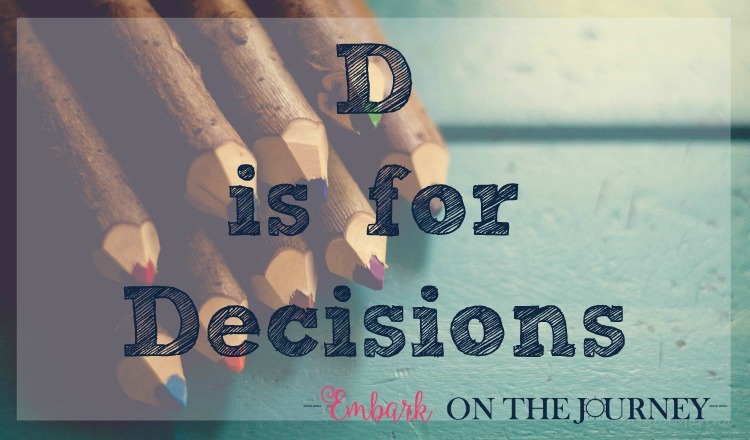 I’ve been on this homeschool journey for 15 years now, and I’ve learned a few things along the way that help make the decision-making process a little easier. The first part of that big decision you’ll need to make is what subjects to teach. In the early grades this could be pretty standard – math, science, history/geography, grammar, and literature. In addition, you could choose to add in special subjects such as a foreign language, nature study, music and/or art appreciation. As my children reach the end of their elementary school years, I start to take a hard look at the future. What do I want them to have covered before they enter high school? What books do I want them to have read? What seeds do I want to have planted for later learning? High school has its own set of requirements. Your state may have graduation requirements for homeschoolers. Colleges will certainly have admissions requirements, too. These requirements will play a big part in deciding what subjects to teach. Taking that decision one step further… Once you’ve decided on general topics – math, science, history, etc. – you’ll need to decide which genre you want to teach. Will you study chemistry or biology, ancient or American history, algebra or geometry? As often as possible, I try to let my kids have some say in which subjects we cover. For instance, Emma studied elementary biology for three years before I made her pick a new topic of study. However, they don’t get final say in the matter. If they did, we’d never do math! Now that you know what you’ll teach, you need to decide how you’re going to teach each subject. Are you going to use textbooks, or do you prefer lapbooks? Will you use an online program, or will you attend a co-op? Are you going to use eBooks or purchase physical products? I use a variety of these options in my homeschool. We did lots of lapbooks and unit studies in the early learning years. I currently rely on a DVD to teach Saxon math (Algebra 1/2). I use text books for science, history, and grammar. We do lots of reading – literature, living books, magazines, online ebooks. We don’t currently use an online program, but I have used them in the past. Em also takes pottery at a local co-op. I looking into the possibility of her taking dual-enrollment classes for higher level math and science in high school. Are you overwhelmed with choices? Try to focus on one subject or one child at a time. Take baby steps until you’re all set for the new homeschool year. How do you decide what you’ll teach and which curriculum you’ll use each year? This post is the second in my ABC’s of Homeschooling series! To read the entire series, visit my ABCs of Homeschooling page. I’ll add to this page each day as the posts go live. 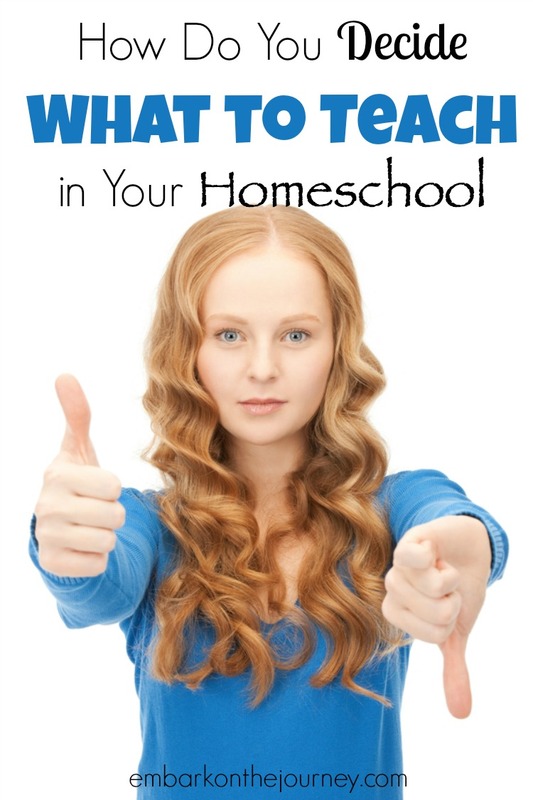 Very helpful hints and ideas and resources to organize Homeschooling!!!! Thanks!!!!! Really nice overview! My favorite part is when you mentioned you’d never do math. lol I guess we all have topics that are not our favorite. This is good information. For elementary we’ve typically followed a history based cycle of learning, so that determined what I was covering. For high school I’ve followed our state transcript requirements. This is something that can overwhelm moms, though, I think. There’s so much responsibility to get it right when you homeschool. I really admire you for being able to do that. Thanks for sharing your post at the Over the Moon Link Party. Other than math I don’t usually decide what to teach each year; we just take each month as it goes picking up books to read and researching science and history topics when it suits our fancy. I find it too overwhelming to decide otherwise; I want to teach it all! I’m loving this series, I’m learning lots from it!